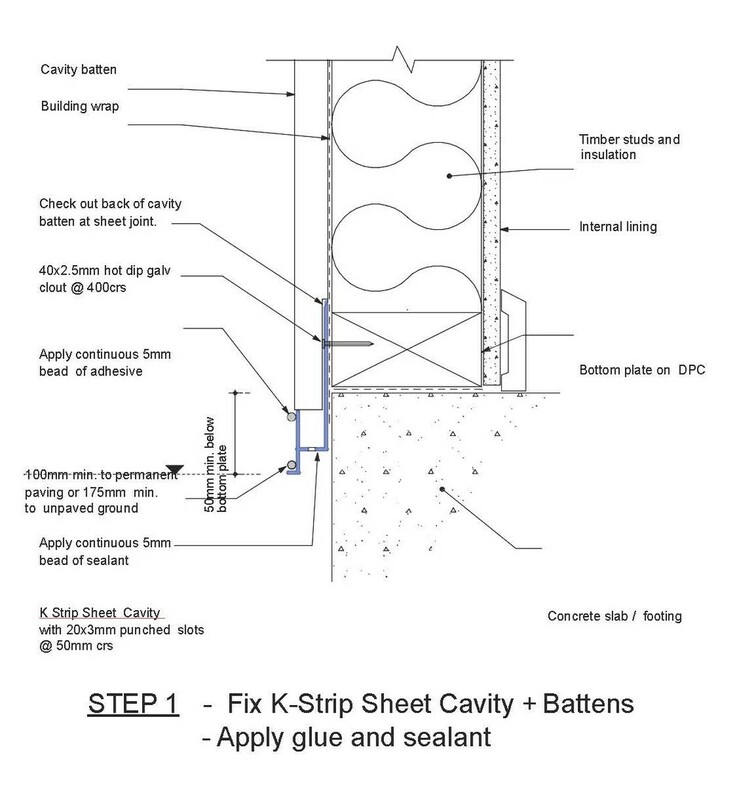 K-Strip Sheet Cavity fix is a cavity closer and a support member for the bottom edge of the sheet. The K-Strip Sheet Cavity fix has a unique design that encompasses two products into one saving time and money. 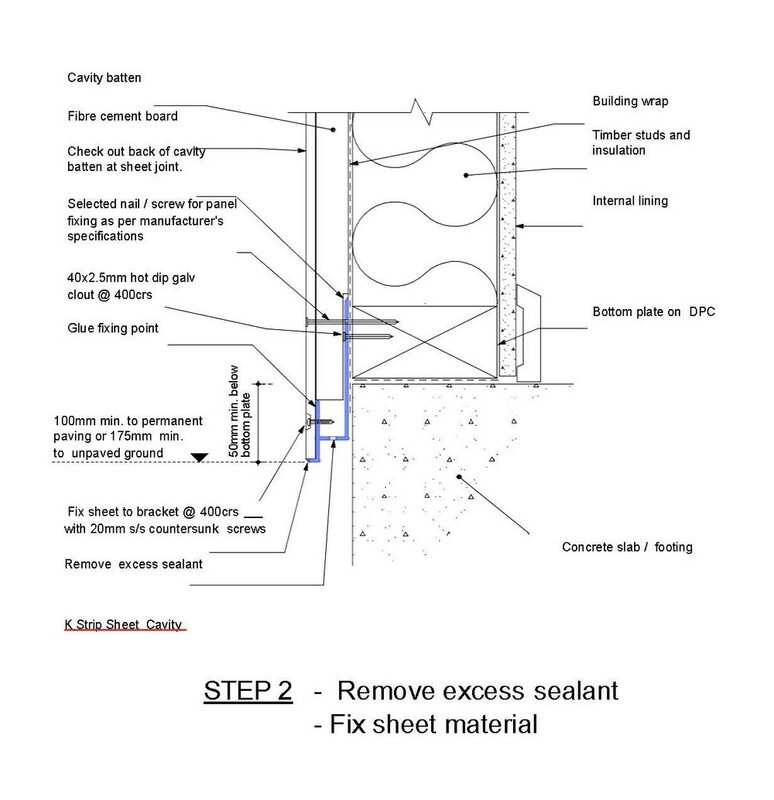 The K Strip Sheet Cavity Fix is a Cavity Closer as well as a support member designed to take the weight of the sheet while it is being fixed in position. The K Strip provides a straight edge for the bottom edge of the sheets as well as providing a fixing point. It can be used with Fibre cement sheets and Ply sheets. The Labour saving along with providing an accurate bottom edge for the sheet makes the K Strip the best choice available when installing a sheet product. It's ridged design provides long term support for the bottom edge of the sheet to reduce the risk of it being broken when hit or knocked.